This gel is fantastically alkaline, as the name suggests. It is intended for those that have open MRSA wounds or folliculitis. So not only are you strengthening your body tremendously from the inside out with pHenomenal water but also from the outside in with the Alkaline gel. Spencer’s Gel is lab-certified to kill Staphylococcus Aureus on contact. 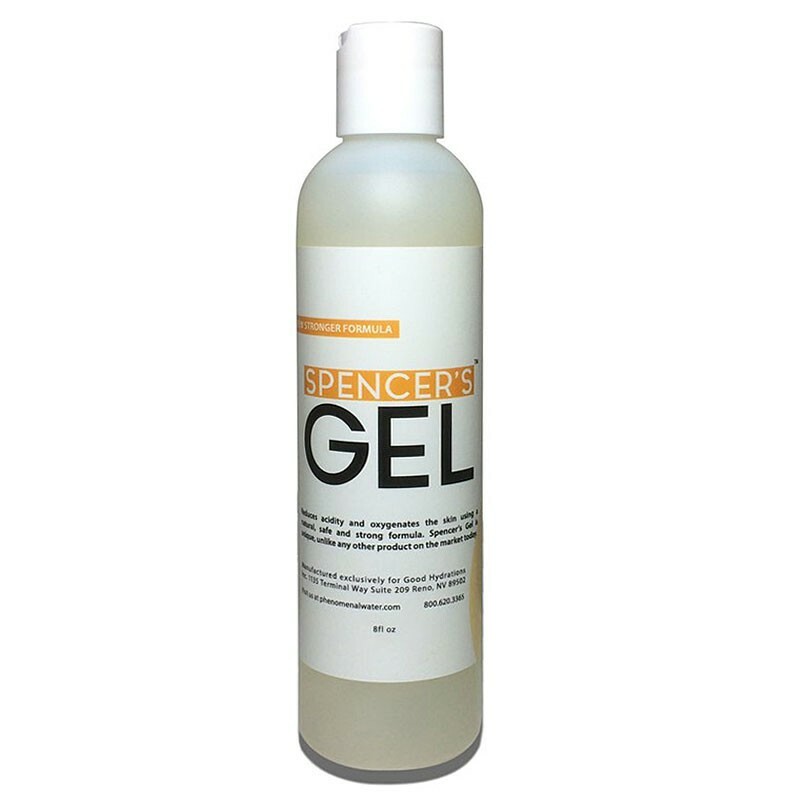 Spencer’s gel is very alkaline and is intended for those that have open MRSA wounds or folliculitis. So not only are you strengthening your body tremendously from the inside out with pHenomenal water but also from the outside in with the Alkaline gel. This gel is not a preventative for Staph or MRSA nor is it to be used as an anti-bacterial cleanser. It is designed for a pre-existing skin problem caused by acid loving bacterium. It removes the acidity allowing the immune system to have unbelievably devastating effects on the bacteria and allowing the body to heal. Here’s the story, the gel was invented when a friend’s massive open MRSA wound. He had had it for 2 and ½ years! A MRSA open wound is nothing more than an acid burn! If the problem is a bacterium producing too much acidity and deteriorating the skin and flesh, what if you can put something that was massively alkaline on the same area? It took a while, but this gel was invented for the friend to try on his leg. The result? The active ingredients are proprietary high alkalinity concentrate (non-caustic), thickening agent, organic lemon oil as fragrance and 5% isopropyl alcohol to keep it from spoiling. This product is only intended for external use and should only be used as directed. If product gets into user’s eyes or mouth, flush with water immediately. If pregnant or breast feeding, consult your doctor before using Spencer’s Gel.